IMPORTANT 4/25/2015!!! I AM RECEIVING TOO MANY CALLS THAT LAST OVER HALF HOUR+ AND CANNOT RETURN ALL OF THEM AND GET RAPID RESPONSE SHIPPED OUT IN TIME TO PEOPLE. PLEASE EMAIL amerdonter@aol.com AND EXPLAIN WHY YOU ARE INTERESTED IN "RR" IN DETAIL IF PROBLEM, AGE AND WEIGHT AND I WILL RETURN YOUR EMAIL 24/7 ASAP WITH MY SUGGESTIONS ABOUT WHICH FORMULA AND DOSING TO HELP YOU. BASICALLY IF FOR A DOG I RECOMMEND RAPID RESPONSE HFF (human) AND IF A HORSE I RECOMMEND RAPID RESPONSE F EXTRA STRENGTH (IT IS ACTUALLY DOUBLE STRENGTH) + HYALURONIC ACID. I AM SORRY. I WANT TO KNOW WHAT THE PROBLEM IS FOR EVERY PERSON WHO BUYS RR AND HELP THEM AND NEED TO DO IT ON PAPER SO I CAN REFER BACK TO PREVIOUS COMMUNICATION TO HELP YOU. THIS IS A SPECIALTY COMPANY AND I WANT TO COMMUNICATE WITH YOU MYSELF TO MAKE SURE WE ARE DOING THE BEST FOR YOU OR YOUR ANIMALS. IF YOU CANNOT EMAIL HAVE A FRIEND DO IT FOR YOU. THANK YOU!!! H"T" double strength + Hyaluronic Acid is now on the shopping cart. Thanks! 1998 Original Rapid Response Research just found! The great Thoroughbred Trainer John Shirreffs endorsed Rapid Response F ! Kentucky Derby) and ZENYATTA who won the $5,000,000 Breeders Cup Classic on 11-7-09 beating the best male horses in the country including the Kentucky Derby and Belmont winners. She is the World's Horse of the Year winning 19 of 19 races and 9 are Grade 1 stakes races in a row, a record as of October of 2010! Her last race was the 5 million dollar Breeders Cup Classic race against the boys 11-9-10. She lost by a half a head because she was way too far back. She won in the next stride after the wire. On January 17, 2011 she was voted the Eclipse Award for Horse of the Year for 2010 (which I have been calling her for months....now it is official. ZENYATTA is the greatest racehorse of all time!! She makes my heart pound!!! I am proud to say that she has been taking Rapid Response F for the last 4 years!!! Giacomo was also taking Rapid Response F ! SPECIAL SALE when buy 4 gallons (receive 2 quarts free) on RAPID RESPONSE (H in name refers to a human label) and formulas are F & HF and FF * HFF (double strength of F and I now consider the best formula if need high dose (paragraph updated 5-12-18) and T & HT (no aloe vera pulp and HT+ HA (double T strength plus has Hyaluronic Acid but not aloe vera pulp) and the F & HF double strength + Hyaluronic Acid (which is also considered my best formulas along with the FF or HFF above. Below info regarding F (original formula) is out of date. It is very good but I usually suggest higher doses of the original F formula and so I created the double strength formulas to save people money.) Quick update! “The Nutritional Supplement capable of transforming our entire health experience"
Rapid Response is what many are calling the “Nutritional Supplement with the most potential for health”. Rapid Response is a scientifically advanced proprietary process resulting in a unique new dietary natural food supplement. Our proprietary process allows the synergistic effects of Rapid Response to be used in the body at their ultimate potential. 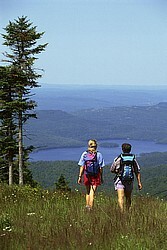 Working from a cellular level Rapid Response helps create a healthy environment for the nine vital systems in the body. Rapid Response is not an injury specific nutritional supplement. With some of the most potent anti-oxidants in the world Rapid Response works on a cellular level to help maintain “Superior Cellular Construction”, and help control the damaging effects of Free Radicals and Toxins with these exceptional Anti-Oxidants. Rapid Response’s synergistic effects, glucosamines and chondroitins are key factors as a regulator of cartilage metabolism and helping to keep cartilage from breaking down. It has been helpful in supporting the normal function of the body. 6) Keeps up with free radical damage going inside the membrane of your cells, protecting them. 7) Rapid Response has a special affinity for collagen and elastin which helps keep your skin youthful and vibrant. 8) Rapid Response's ingredients are known to support the nervous system, immune system, liver and the cardiovascular system. 9) Rapid Response has “bi-phasic” activity which means it can penetrate lipid cell membrane and carry its benefits into the interior of cells. in minimal amounts that are naturally occuring. Rapid Response™® contain 7 of the 8 essential amino acids. Provides 20 of 22 amino acids required by humans. Rapid Response™® provides 9 essential minerals such as Calcium, Copper, Chromium, Magnesium, Iron, Potassium, Zinc, Sodium, Manganese. Monosaccharides and Polysaccharides that are essential to the quality and efficacy of Rapid Response™®. Suggested Dose: Normally 2 to 4 ounces daily but may take up to 4 to 6 ounces daily. Dosage may be individualized and increased based on need. Keep lid closed tightly-Refrigerate after opening (more palatable for humans if cold) or may store in a cool place (not in direct sunlight) for horses and other animals and use within one month. Storing in temps up to 80 degrees are okay. Direct sunlight or exposure to air causes Rapid Response to evaporate. Rapid Response is a natural product containing no animal by-products. Taste, color and consistency may vary seasonally. Earth-friendly. Cruelty-free animal research—all animals benefited! No double blind studies were conducted which would benefit some animals but not all animals. The goal of Rapid Response is to HELP ALL animals. All Natural! Rapid Response is an advancement in biomolecular supplements – a natural product that biologically supports the body to maintain health and energy. Rapid Response® comes in three formulas: Formula F, Formula T and Regular. All formulas are available for human and horse use. This Rapid Response F formula contains higher doses of chondroitin and glucosamine plus a high dose of hyaluronic acid. You can use smaller doses of this formula in serious cases when we usually recommend doubling the dose of the Rapid Response F formula thereby saving you money. We expect to have great success with it. The additional ingredients are well worth the difference in price. with pulp (customers say this is the best Rapid Response formula! the added ingredients longer acting and provides more pain relief. As a result this formula works better than the “T” formula but does contains pulp. This is the best formula of Rapid Response. 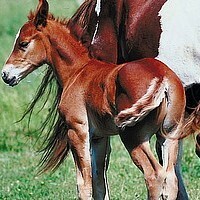 Rapid Response F is preferred for use in horses or other animals with injuries and slow healing issues. It is also recommended for horses that are racing, jumping, barrel racing or under other severe stress in order to help maintain soundness. This formula is more specific for bones over the Rapid Response formula listed below. This formula is more effective than the regular Rapid Response formula. 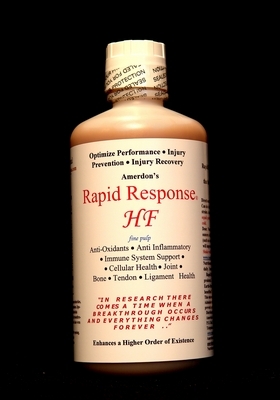 Rapid Response HF for humans is recommended for people who have more chronic problems. This formula is also recommended for athletes. Recommended dose of 4 ounces a day (2 ounces morning and afternoon) for a severe problem but the dose can be individualized based on the condition. Rapid Response T for horses and Rapid Response HT for humans contains the same ingredients as in the Rapid Response F and HF formulas but does not contain the aloe vera pulpy base. People report the Rapid Response F and HF provide the best results and thus we consider it the best formula. The "T" formula does not contain a pulpy base and is best for people who cannot handle the pulp. Rapid Response regular horse formula and Rapid Response H for humans: This formula of Rapid Response is recommended for maintenance, prevention and for general overall improvement of health. Rapid Response is a nutritional product and all ingredients can be found in health food stores. Rapid Response is not a drug. It is the exact combination of ingredients and the method of manufacturing created by Dr. Fourziano that provides Rapid Response with its superb magic. DISCLAIMER: Has not been evaluated by the Food and Drug Administration. This product is not intended to diagnose, treat, cure or prevent any disease. Always follow your physician's or veterinarian's advice.